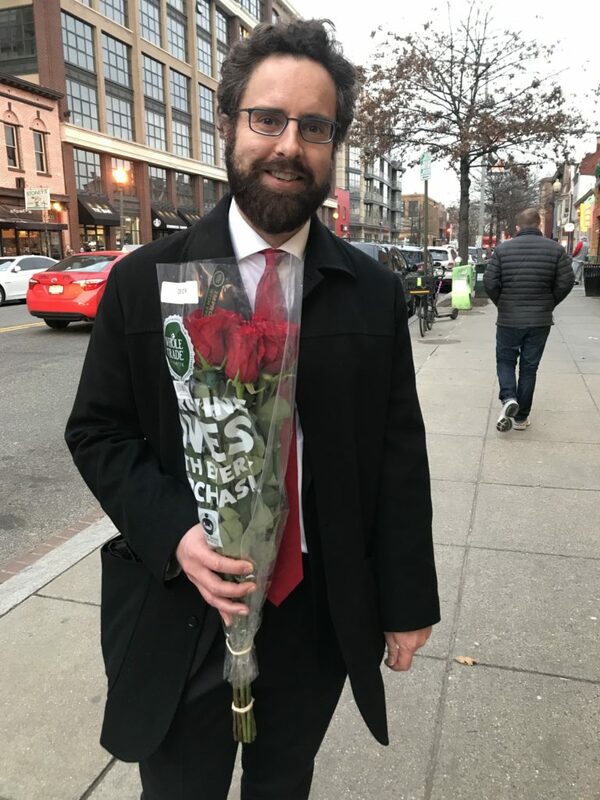 Whole Foods offered a dozen roses for $19.99. Photo by Sam Spengler. The P Street Whole Foods at 5 PM on Valentine’s Day is not a place for the weak of heart. Men and women alike flooded the store to browse bouquets of flowers or select their own to be wrapped by the store’s arrangement team. There was no time for dawdling, and not a whole lot of space for breathing. Amazon did not switch up its discount for V-Day 2019: Like last year, Prime members were able to grab a dozen roses for $19.99, as opposed to $24.99 for non-members. After selling out quickly last year, the store ensured its roses were well-stocked this time. Outside, the scene wasn’t much different. After braving the chaos inside, shoppers hustled out toting bouquets, giant heart-shaped balloons, ingredients for home-cooked dinners, and bottles upon bottles of special-occasion-priced wine. Most hurried to locked bikes and Ubers as if late for an important date (which they probably were). Thankfully, Washingtonian managed to stop a few less-rushed customers and ask them about their purchases. Most flower-carriers were men on their way to cook dinner with their girlfriends, wives, and fiancées, and many were surprisingly thoughtful in their choices. Local, fiscally responsible, unique, and nice-smelling seemed to be common criteria. A few knew for certain that their SOs’ favorite was tulips, and ensured those were included in the bundle. Though some customers cited the Amazon discount as a factor in their floral section process, it didn’t seem to affect choices for many. Below are eight valient suitors (and two family members) beaming on their way to Valentine’s plans. Harlen Valenzuela bought multicolored roses for his wife and one year-old. 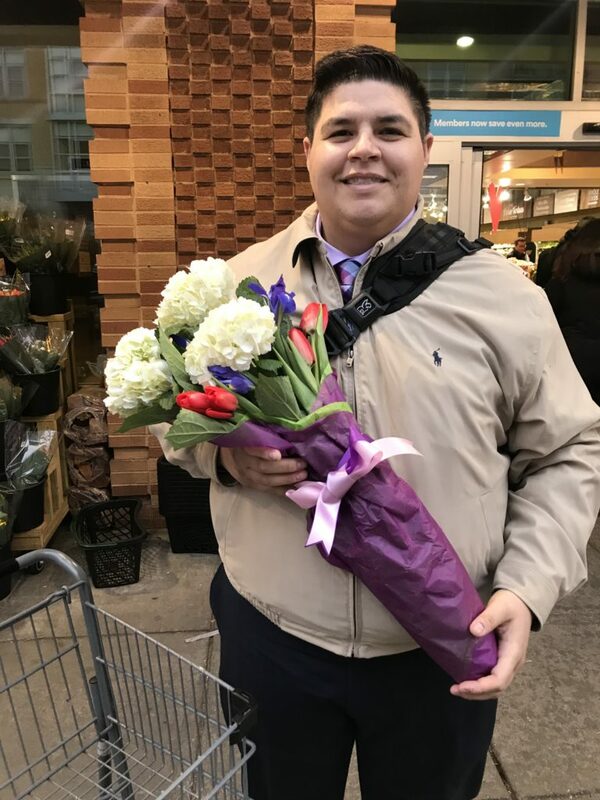 Harlen Valenzuela: Buying flowers for his wife and one year-old. Rick Baker bought tulips for his wife of 44 years. Rick Baker: Buying flowers for his wife of 44 years. 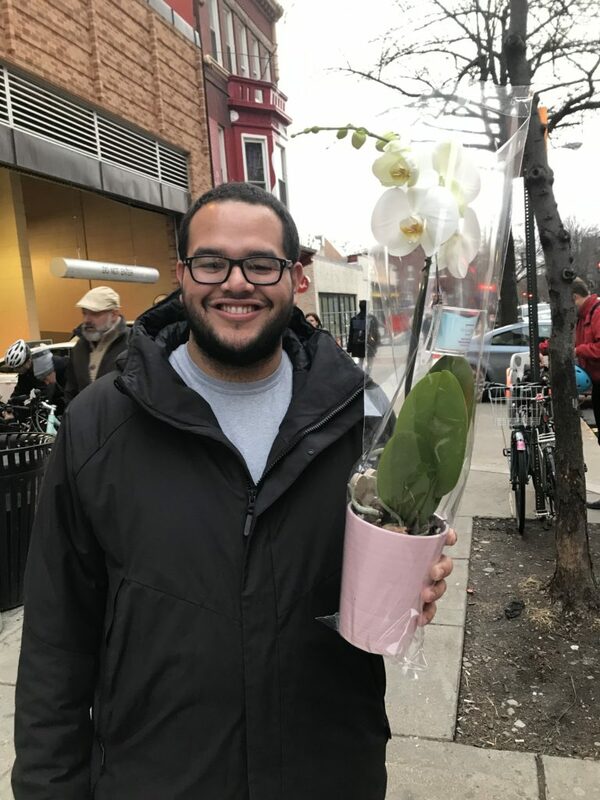 Kevin Gomez looked for a unique flower for his girlfriend of over a year. Kevin Gomez: For his girlfriend of a year and two months…or a year and seven months…something like that. 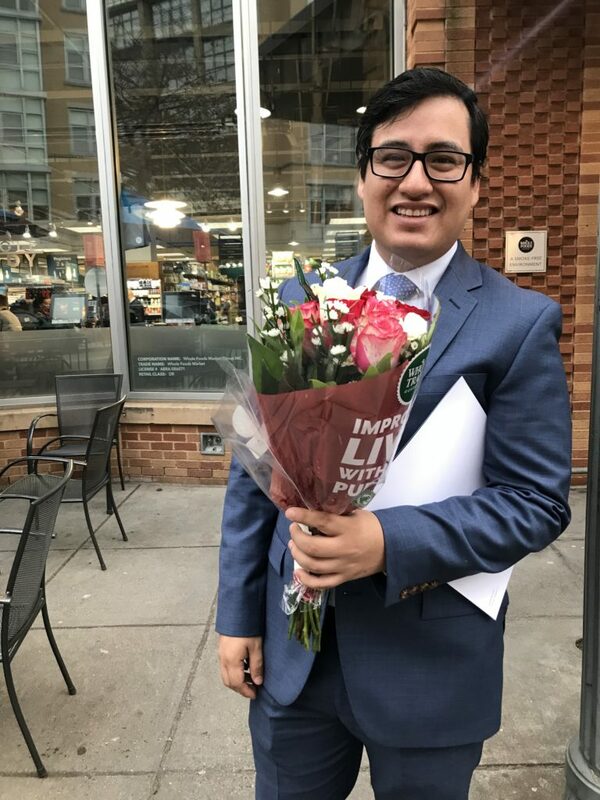 Nick Cartier bought a dozen red roses for his traditional girlfriend. 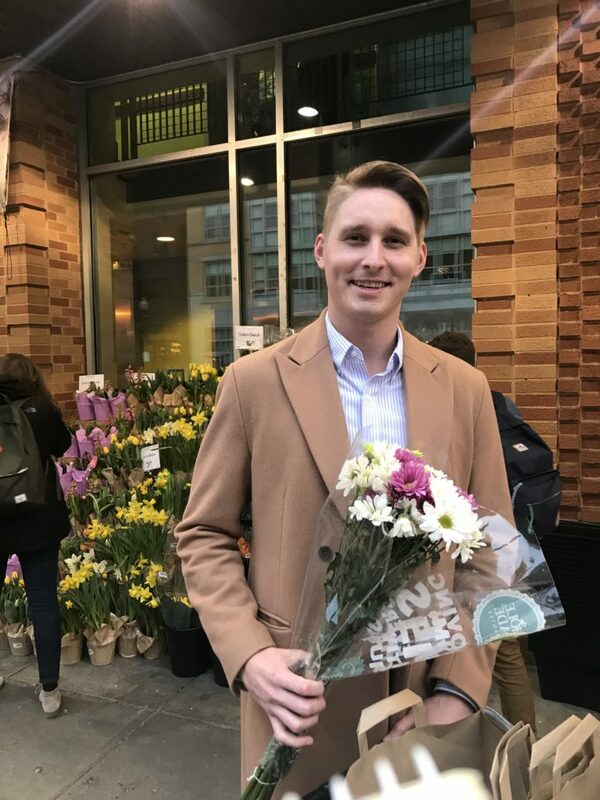 Nick Cartier: Buying flowers for his girlfriend of two years. Phil and his fiancée try to avoid buying potted plants. Phil: Buying flowers for his fiancée. Grant Bodnar was told not to buy flowers, but he thinks these cheap ones will be acceptable. Grant Bodnar: Buying flowers for his girlfriend of a year-and-a-half. Chris Fagioli looked for unique, inexpensive flowers. 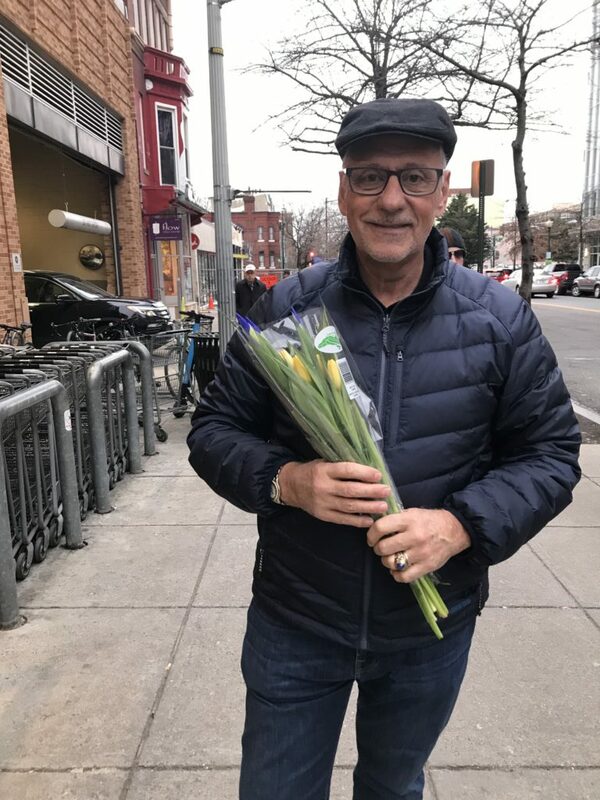 Chris Fagioli: Buying flowers for his girlfriend of just over a year. Jacqueline Williams (right) buys flowers for her daughters (Sydni is on the left) every year. 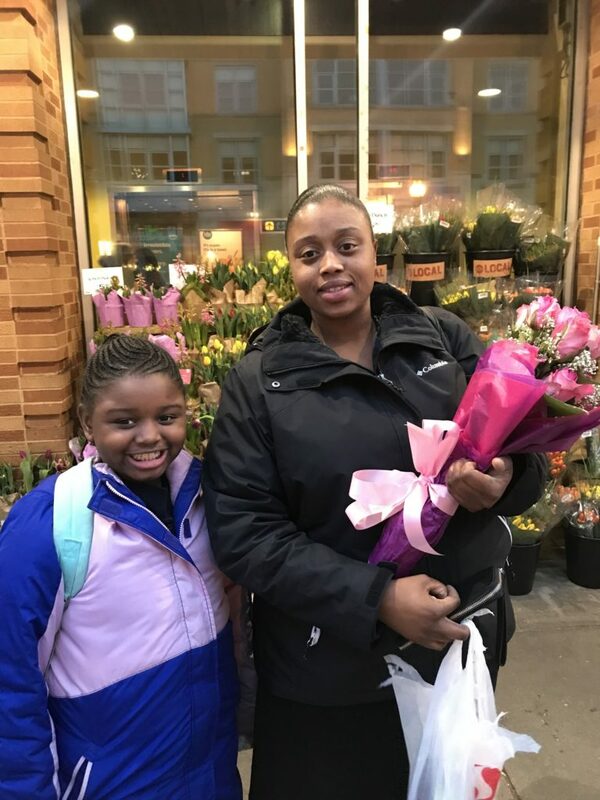 Jacqueline Williams: Buying flowers for her two daughters (Sydni pictured here). 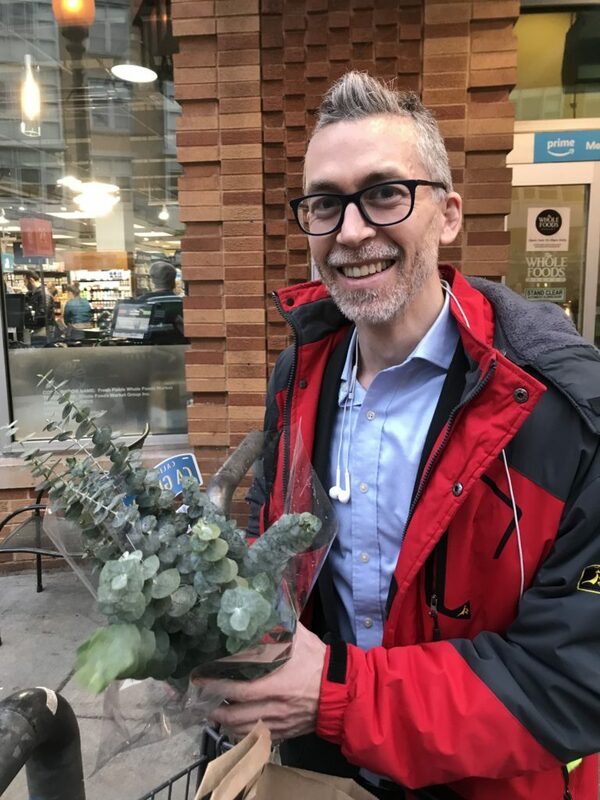 Lisa Tegen bought a potted plant for her boyfriend—he’s the one with the green thumb. 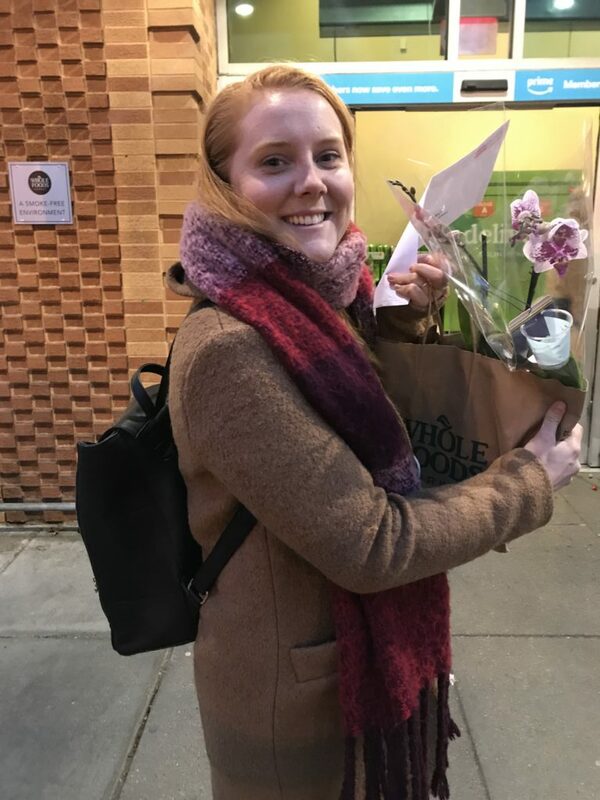 Lisa Tegan: Buying flowers for her boyfriend of four years. Mike Williams buys his mother flowers every year on Valentine’s Day. 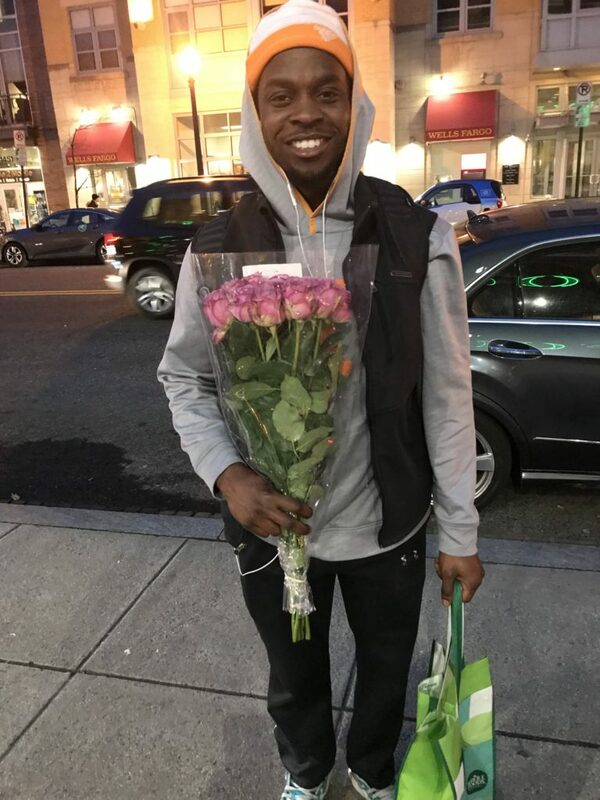 Mike Williams: Buying flowers for his mom.